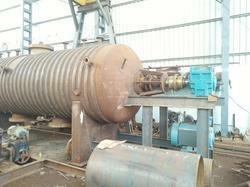 We offer premium grade of rotary autoclave unit that is suitable for rubber reclamation in the rubber industry. Our range of rotary autoclave units like:- Autoclave Unit, Rubber Reclaim Autoclave, Rotary Autoclave Unit, Rotary Autoclave Unit For Rubber Reclamation, Horizontal High Pressure Autoclave, High Pressure Autoclave, Rubber Vulcanizing Autoclave, Rotary Autoclave is available with high capacity. These autoclaves have been designed in a precise manner and they are available in different sizes. We are leading manufacturer & Supplier of Autoclave Unit for reclaim is fabricated from best Quality M. S plates of thickness depending upon the capacity and clients choice. In our Autoclave Unit, the External heating arrangement is provided which can be used both for steam and thermic fluid. Autoclave Unit has a stirring arrangement totally different from those of conventional autoclaves. 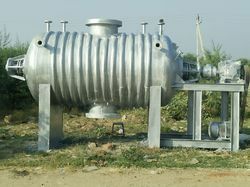 We are providing these Autoclave Unit as per the client requirement. We are leading manufacturer & Supplier of Rotary Autoclave Unit for reclaim is fabricated from best Quality M. S plates of thickness depending upon the capacity and clients choice. In our Rotary Autoclave Unit External heating arrangement is provided which can be used both for steam and thermic fluid. Rotary Autoclave Unit has a stirring arrangement totally different from those of conventional autoclaves. 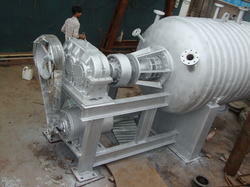 We are providing these Rotary Autoclave Unit as per the client requirement. We are leading manufacturer & Supplier of Horizontal High Pressure Autoclave for reclaim is fabricated from best Quality M. S plates of thickness depending upon the capacity and clients choice. In our Autoclave Unit External heating arrangement is provided which can be used both for steam and thermic fluid. Autoclave Unit has a stirring arrangement totally different from those of conventional autoclaves. We are providing these Autoclave Unit as per the client requirement. We are leading manufacturer & Supplier of Rotary Autoclave for reclaim is fabricated from best Quality M. S plates of thickness depending upon the capacity and clients choice. In our Rotary Autoclave External heating arrangement is provided which can be used both for steam and thermic fluid. Rotary Autoclave has a stirring arrangement totally different from those of conventional autoclaves. 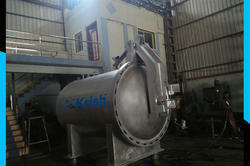 We are providing these Rotary Autoclave as per the client requirement. We are leading manufacturer of Horizontal Autoclave for reclaim is fabricated from best Quality M. S plates of thickness depending upon the capacity and clients choice. External heating arrangement is provided which can be used both for steam and thermic fluid. It has a stirring arrangement totally different from those of conventional autoclaves. We are providing these autoclaves as per the client requirement. 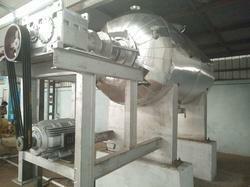 External heating arrangement is provided which can be used both for steam and thermic fluid. It has a stirring arrangement totally different from those of conventional autoclaves. We are providing these autoclaves as per the client requirement. We are leading manufacturer of Tyre Recycling Plant for reclaim is fabricated from best Quality M. S plates of thickness depending upon the capacity and clients choice. 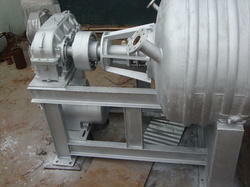 The external heating arrangement is provided which can be used both for steam and thermic fluid. It has a stirring arrangement totally different from those of conventional autoclaves. We are providing these autoclaves as per the client requirement. We are leading manufacturer of Door of Rubber Vulcanizing Autoclave for reclaim is fabricated from best Quality M. S plates of thickness depending upon the capacity and clients choice. External heating arrangement is provided which can be used both for steam and thermic fluid. It has a stirring arrangement totally different from those of conventional autoclaves. We are providing these autoclaves as per the client requirement. We are leading manufacturer of Rubber Recycling Autoclave for reclaim is fabricated from best Quality M. S plates of thickness depending upon the capacity and clients choice. The external heating arrangement is provided which can be used both for steam and thermic fluid. It has a stirring arrangement totally different from those of conventional autoclaves. We are providing these autoclaves as per the client requirement. We are leading manufacturer & Supplier ofRotary Autoclave for reclaim is fabricated from best Quality M. S plates of thickness depending upon the capacity and clients choice. In our Rotary Autoclave External heating arrangement is provided which can be used both for steam and thermic fluid. Rotary Autoclave has a stirring arrangement totally different from those of conventional autoclaves. 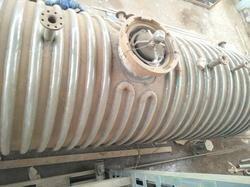 We are providing these Rotary Autoclave as per the client requirement. We are leading manufacturer & Supplier of High Pressure Autoclave for reclaim is fabricated from best Quality M. S plates of thickness depending upon the capacity and clients choice. In our Autoclave Unit External heating arrangement is provided which can be used both for steam and thermic fluid. Autoclave Unit has a stirring arrangement totally different from those of conventional autoclaves. We are providing these Autoclave Unit as per the client requirement.